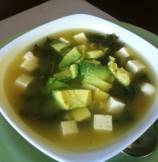 This lite and healthy clear Kale Avocado Soup with Tofu is perfect summer soup. My family does not like drinking soups in summer but this one is everybodys favorite. 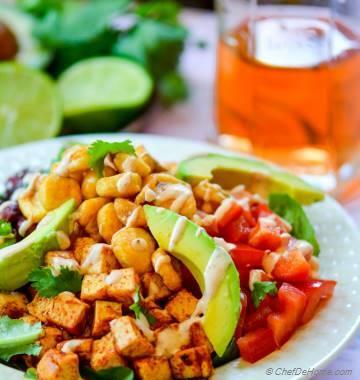 Addition of Avocado makes it very creamy and lemon adds fresh summer flavor. Soup is very easy to make, if you have vegetable stock in your refrigerator, this soup can fly from pot to bowl in just 20 minutes. I sometimes also use chicken stock instead of vegetarian broth, all depends on what is available at home while making soup. 1. Make the stock. Skip this step if using store bought canned or pre-frozen stock. I use all leftover veggies in my house with some tomatoes, garlic and ginger to make healthy stock. Check out Homemade Vegetable Stock recipe. 2. In a pot, take 5 cups of vegetable stock. Bring to boil. Now adjust salt (taste the soup base before adding salt since if using canned stock, it will already have salt in it). Add pasta and simmer for about 3 minutes (half the time of cooking pasta per pasta package cooking directions) . Now add chopped kale leaves (discard stems), lemon zest and simmer on low heat for about 5 minutes (or till pasta is al-dente). 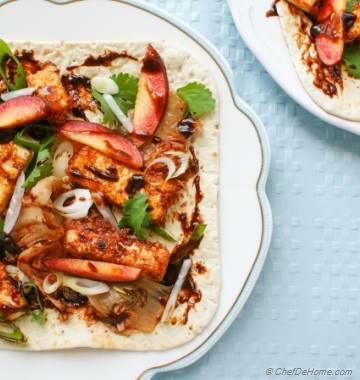 Finish with small diced firm or silken tofu, few slices of Avocado (optional) and lemon juice. Serve with your choice of garlic toast or chips. Hi, I tried your Kale soup recipe last weekend and really loved the light taste. 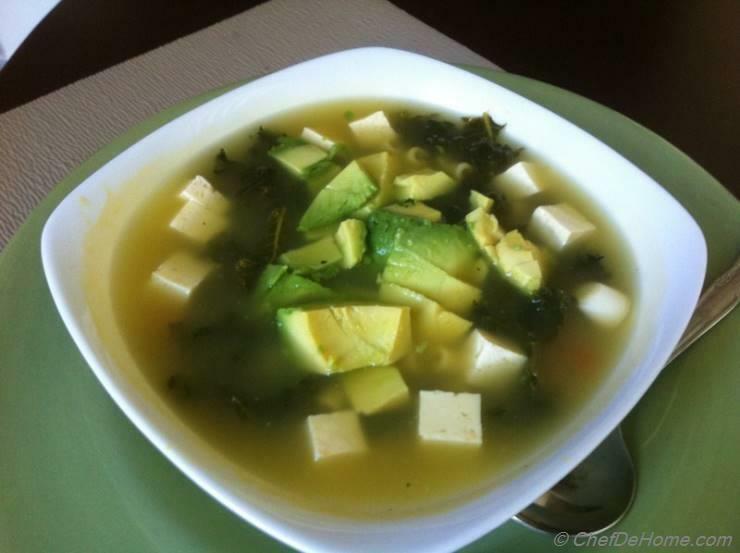 I never thought about adding avocado to soup but it really tastes good. This Kale Soup recipe is certainly a keeper for me. 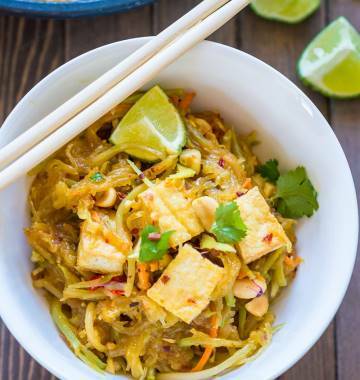 I always look for recipes which use less ingredients and can be quickly prepared in one pot. Thanks for sharing.